MOAB, Utah — Located in the heart of the Colorado Plateau, the Moab region is a national treasure, a geological wonder and the site for some of the best and most varied four-wheeling in the country. With thousands of miles of backcountry trails, most left over from mining days, 4WD enthusiasts can explore the mixed topography of deserts and canyons, with the 13,000-foot La Sal Mountains in the backdrop, and motor on trails that range from a difficulty of #1 (in our handbook, Unimproved or rarely graded roads, 4WD or extra clearance needed at times, with no special driving skill required) to a #5 (Locking differentials and tow hooks, front and rear, necessary. Winch urgently recommended-unless you travel with someone who has one and can pull you out. Expert driving skill is critical). DaimlerChrysler brought the 2003 Special Edition Jeep Wrangler Rubicon to Moab for a nine-day event dubbed the Easter Jeep Safari. Despite the fact that this vehicle is named after the famed Rubicon Trail, located in the high Sierras of northern California, Jeep folks wanted to give the 4WD motor press the opportunity to try out this trail-ready rig before the snows melt on the boulder-littered Rubicon Trail, which is often not until early summer. Moab is considered by many somewhat of a Jeep Capital of the Country and this annual event, now in its 36th year, draws thousands of "Jeepers" to participate in trail rides by day and rubber-neck after the sun sets at the wide array of backcountry-capable rigs that show up for this event and parade along the streets of this town of nearly 5,000. Additionally, many aftermarket manufacturers take advantage of this annual event to showcase their wares to this captive audience of four-wheel-drive enthusiasts who drive on trails such as Hell's Revenge, Cliff Hanger, Metal Masher, and Top of the World, which travel through forest, desert, steep ravines and rims, rivers, mountains, and the famous Moab "slick rock." Built on Jeep's "go anywhere, do anything" design philosophy, the new Rubicon is a 4x4 gem. It’s been put together to reflect the "original" Jeep vision first realized in 1940, when the company dominated off-road travel — albeit with the military. With front and rear locking differentials, front and rear Dana model 44 axles and 4:1 low range transfer case, this new vehicle is a true trail runner. 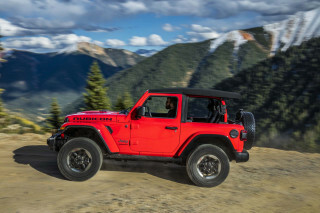 The outer layer of this rock climber is much the same as its more road-ready Wrangler sibling. 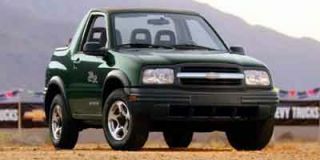 A few additions to the exterior distinguish this model, however. A 22-inch long "Rubicon" graphic is prominently emblazoned on either side of the hood, and heavy-gauge diamond plate sill guards are bolted to the body sides to protect rocker panels. 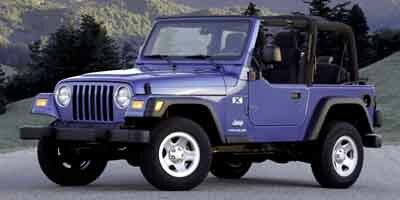 Exterior paint color choices include all Wrangler exterior colors along with Inca Gold. Like its sibling, the Rubicon has distinctive round headlamps and front-end mounted fog lamps, as well as contrast-color bumpers and wheel wells. Goodyear Wrangler 31-inch tires give over ten inches of ground clearance and are mounted on new 16-inch, five-spoke aluminum wheels with a dished face to protect them from debris and obstacles. 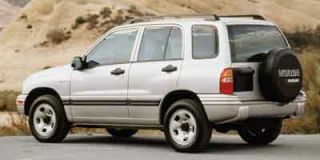 Standard are four-wheel disc brakes. This wrapping is just a formality, however, for the off-road drivetrain package it contains. The driver can actuate the locking differentials when the transfer case is in low range and the vehicle is traveling under 10 miles per hour. When not locked, the rear axle has a torque-sensing limited slip feature for better traction on the road. Dana model 44 axles are built to be strong enough to handle all manner of off-road conditions. The transfer case on the new Rubicon is designed with a 4:1 low range, which slows the vehicle's speed to increase torque at the wheels while giving the driver more control and power. A 4.0-liter in-line six-cylinder motor is matched to a five-speed manual transmission and produces 190 horses at 4600 rpm and 235 lb-ft of torque at 3200 rpm. Like most in the Wrangler range, this model's interior is almost an afterthought. A dark gray or khaki interior, four-spoke steering wheel and padded sport bar give this rig its unmistakably utilitarian look, and an unadorned dash with a 12-volt power outlet adds to that image. A new front seat has 20 mm of increased rearward travel and a new rear seat can be more easily tumbled and removed. Also new are corner pods located behind the B-pillar that provide theater-style lighting and the location for optional speakers. Minor refinements such as an optional interior electrochromatic rearview mirror with temperature/compass display and map lights dress up the cabin a bit, and rear LATCH child seat safety tethers make things safer and more comfortable for young Jeepers in training. Jeep calls it the "ultimate off-road rig.” And for now, they’ve asked us not to tell you how the Wrangler Rubicon handles itself in the muck. But before it goes on sale later this year, we’ll be back with a full report.